“Monks, what more is to be done? Monks, a monk lives in a secluded dwelling-place – a forest, the base of a tree, a mountain, a valley, a cave, a cemetery, a grove, in the open air, or on a heap of straw. After his meal, when he has returned from alms-round, he sits down, crosses his legs, and establishes mindfulness as foremost. He abandons covetousness about the world and abides with a mind free of covetousness; he purifies the mind of covetousness. He abandons aversion and hatred, he abides with a mind free of aversion, with compassion for the welfare of all living beings; he purifies the mind of aversion and hatred. He abandons dullness and sleepiness, he perceives light and is mindful and completely aware; he purifies the mind of dullness and sleepiness. He abandons restlessness and anxiety, he abides unagitated with an internally tranquil mind; he purifies the mind of restlessness and anxiety. He abandons doubt, he abides beyond doubt, free of perplexity about wholesome phenomena; he purifies the mind of doubt. “Monks, it is just like a man who has a debt. He undertakes a job and succeeds at it. He pays off the debt and has enough remaining to support his wife. It occurs to him, ‘Previously I had a debt. I undertook a job and succeeded at it. I paid off the debt and have enough remaining to support my wife.’ On account of that he would become happy and elated. “Monks, it is just like a man who is sick, suffering, severely ill, lacking appetite, with no strength in his body. Later on he is released from that illness, his appetite returns, and there is strength in his body. It occurs to him, ‘Previously I was sick, suffering, severely ill, lacking appetite, with no strength in my body. Now I am free of that illness, my appetite has returned, and there is strength in my body.’ On account of that he would become happy and elated. “Monks, it is just like a man who is imprisoned. Later on he is released from prison, safe and unharmed, with no loss of wealth. It occurs to him, ‘Previously I was imprisoned. Now I am free from that imprisonment, safe and unharmed, with no loss of wealth.’ On account of that he would become happy and elated. “Monks, it is just like a man who is enslaved, not self-governed, governed by others, constrained. Later on his is released from that slavery and is self-governed, not governed by others, free, unconstrained. It occurs to him, ‘Previously I was enslaved, not self-governed, governed by others, constrained. Now I am free of that slavery and am self-governed, not governed by others, free, unconstrained.’ On account of that he would become happy and elated. “Monks, it is just like a man who sets out on a journey along a wilderness road, bringing wealth and property with him. Later on he completes his journey along that wilderness road, safe and unharmed, with no loss of wealth. It occurs to him, ‘Previously I set out on a journey along a wilderness road, bringing wealth and property with me. Now I have completed my journey along that wilderness road, safe and unharmed, with no loss of wealth.’ On account of that he would become happy and elated. “Monks, when these five obstacles have not been abandoned by him, a monk regards it in exactly the same way that one regards debt, illness, prison, slavery, or a wilderness road. Monks, when these five obstacles have been abandoned by him, a monk regards it in exactly the same way that one regards debtlessness, health, freedom from imprisonment, freedom from slavery, and safe territory. “After abandoning these five obstacles, which are defilements that weaken wisdom, he secludes himself from sensuality, secludes himself from unwholesome phenomena, and attains and remains in the first Jhāna, which has thought, evaluation, and the rapture and happiness produced by seclusion. He saturates, permeates, fills, and suffuses this very body with the rapture and happiness produced by seclusion; there is nowhere in his entire body that is not suffused with the rapture and happiness produced by seclusion. Monks, just as a skilled bath-attendant or apprentice bath-attendant would place soap-powder in a metal bowl, sprinkle it with water, and knead it until the soap was completely moist inside and out, suffused with moisture but not dripping; monks, in the same way, a monk saturates, permeates, fills, and suffuses this very body with the rapture and happiness produced by seclusion; there is nowhere in his entire body that is not suffused with the rapture and happiness produced by seclusion. “Monks, with the abatement of thought and evaluation, a monk attains and remains in the second Jhāna, which has internal serenity, mental focus, no thought, no evaluation, and has the rapture and happiness produced by concentration. He saturates, permeates, fills, and suffuses this very body with the rapture and happiness produced by concentration; there is nowhere in his entire body that is not suffused with the rapture and happiness produced by seclusion. Monks, it is like a lake of water filled by a submerged spring, which has no inlet to the east or west or north or south, and is not filled by rainfall; cool water flows up from the spring into that lake, it saturates, permeates, fills, and suffuses that lake; there is nowhere in the entire lake that is not suffused by the cool water. Monks, in the same way, a monk saturates, permeates, fills, and suffuses this very body with the rapture and happiness produced by concentration; there is nowhere in his entire body that is not suffused with the rapture and happiness produced by concentration. “Monks, with the fading of rapture, a monk attains and remains in the third Jhāna, and is equanimous, mindful, and completely aware, experiencing happiness through the body – what the noble ones call ‘one who is equanimous, mindful, and happy.’ He saturates, permeates, fills, and suffuses this very body with raptureless happiness; there is nowhere in his entire body that is not suffused with raptureless happiness. Monks, it is like a lotus pond with red, blue, or white lotus blossoms, some of which are born in the water, grow in the water, and thrive immersed in the water; they are saturated, permeated, filled, and suffused with cool water from their tips to their roots, and there is nothing in those entire lotus plants that are not suffused with cool water. Monks, in the same way, a monk saturates, permeates, fills, and suffuses this very body with raptureless happiness, and there is nowhere in his entire body that is not suffused with raptureless happiness. “Monks, with the abandoning of pleasure and pain, and with the prior disappearance of elation and depression, a monk attains and remains in the fourth Jhāna, which is neither painful nor pleasant and has purity of mindfulness and equanimity. He sits suffusing this very body with a completely pure and clean mind; there is nowhere in his entire body that is not suffused with his completely pure and clean mind. Monks, it is like a man who sits with his entire body covered with a white cloth, including his head; there is nowhere on his body that is not covered by the white cloth. Monks, in the same way, a monk sits suffusing this very body with a completely pure and clean mind; there is nowhere in his entire body that is not suffused with his completely pure and clean mind. “When the mind is concentrated in this way – completely pure, completely clean, flawless, without defilement, malleable, workable, stable, and imperturbable – one directs the mind to the recollection of past lives. One recalls many past lives – one life, two lives, three lives, four lives, five lives, ten lives, twenty lives, thirty lives, forty lives, fifty lives, a hundred lives, a thousand lives, a hundred thousand lives, hundreds of lives, thousands of lives, hundreds of thousands of lives – [knowing] ‘There I had that name, that clan, that appearance, that food, that experience of pleasure and pain, and that death. After falling from that state of existence I appeared in that one, where I had that name, that clan, that appearance, that food, that experience of pleasure and pain, and that death. After falling from that state of existence I appeared here.’ In this way, one recalls many past lives in detail. Monks, it just like a person who goes from his own village to another village, then goes from that village to another village, then goes from that village back to his own village. He would think, ‘I went from my own village to that village, where I stood in that way, sat in that way, spoke in that way, and was silent in that way. From that village I went to that other village, where I stood in that way, sat in that way, spoke in that way, and was silent in that way. From that village I returned to my own village.’ Monks, in the same way, a monk recalls many past lives… in detail. 2 Such as the sensations produced by hunger or malnutrition. 3 Such as the sensations produced by overeating or consuming unhealthy items. 5 Āsava. For more information, see MN2 Sabbāsava Sutta. 7 Samita. This is a pun on the word for contemplative (samaṇa). 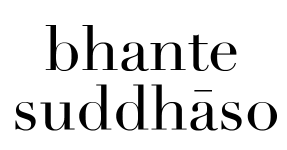 8 Bāhita. This is a pun on the word for ‘holy person’ (brāhmaṇa). 9 Nissuta. This is a pun on the word for ‘religious scholar’ (sottiya). 10 Āraka. This is a pun on the word for ‘noble one’ (ariya). 11 Āraka. This is a pun on the word for ‘worthy one’ (arahaṁ).